I'm driving down the autobahn in Bavaria, a state in southeastern Germany, when I notice a cop car tailing me awfully close. I panic for a second, but tell myself to calm down. I'm going the speed limit, and cars are whizzing past me (Germany is the only place I've experienced where you can be going 90mph and get passed on both sides at once). I figure the cops are just out cruising so I signal and move over into the right lane so they can pass. They do and I breathe a sigh of relief. But then they pull into my lane directly in front of me and slow down, forcing me to do the same. Maybe it's a coincidence? Then the lights go on. Maybe they're pulling over someone in front of me that I can't see? Then text flashes on an LED screen on top of their car. It reads "STOP. POLICE" in German. I pull onto the shoulder and begin to stop, but they lean out the window and wave me on to follow them to the next exit. By the time I pull into the gas station behind them, one of the officers is already out of his car and walking towards mine. "Is there a problem officer?" "You speak English?" he asks. I tell him I do, and he requests my passport, driver's license, and car registration. I hand him all three, and he asks where I'm coming from (The Netherlands), how long I was there (3 nights), and where I'm headed (Munich). He asks me to step out of the car and tell him if I have any weapons or drugs on me. I tell him I don't, and he explains to me that things will be much worse for me if I tell him no and they find anything while searching my car. I suggest he go ahead and search, so he opens up the trunk and pokes around. Then he asks if I've had any drugs, and I tell him no once again. At this point, he asks me if I'll be willing to take a drug test. "This is a urine test," he explains, "so it will show any cannabis from this past week or ecstasy and other drugs." By this point, it seems like he's just trying to rattle me, but I have nothing to hide, so I ask him where he'd like me to urinate. I'm ready to undo my belt and get this over with, but all he says is "Goodbye and have a nice day" before he gets back in the car and cruises off. Maybe I fit the description of somebody shady they're looking for? In his defense, I probably fit the description of a lot of shady people they're looking for. Either way, I was off the hook and back on the road for Munich. Just before I hit Munich, I decided to make a stop at the Dachau Concentration Camp memorial. With Nazis marching openly in the streets of America these days, it seemed like an important visit to make. The memorial is beautifully done, but, as you would expect, it's heavy. 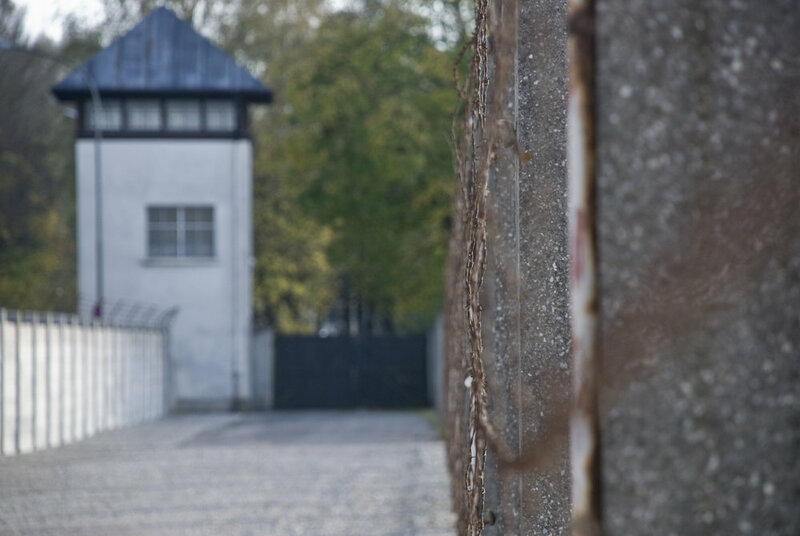 The museum portion of it tells the story of WWII, the Nazi Party's rise to power, and of Dachau. The camp was originally for political prisoners before its purpose expanded to house Hitler's genetic undesirables (Jews, homosexuals, etc). 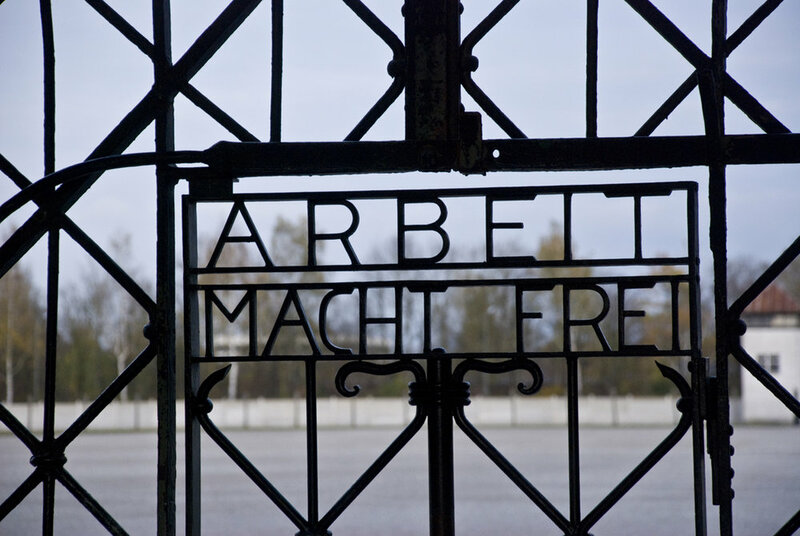 Unlike some of the death camps used for mass execution, Dachau was primarily a work camp, where prisoners were forced to engage in labor or farmed out to other facilities to engage in labor to aid Germany's war effort. That said, somewhere around 40,000 died in the camp. Some were worked to death, some were executed by hanging or firing squad or gas chamber, some starved or became ill and were left to wither and die, some were the victims of cruel medical experiments, some committed suicide rather than endure the excruciating torture they underwent daily. The sheer brutality, not to mention the unthinkable scale of it, is difficult to fathom. As you make your way through the grounds, you eventually reach the crematorium. There was a small one constructed first, and then a second, larger one to accommodate the drastic rise in bodies as more and more unfortunate souls were shipped to Dachau. You walk through and see the actual ovens and the rafters from which the Nazis used to hang prisoners until they suffocated and died. The next room over is dark and unmarked, a windowless chamber that only takes a moment to reveal its purpose as you realize you're standing inside a Nazi gas chamber. 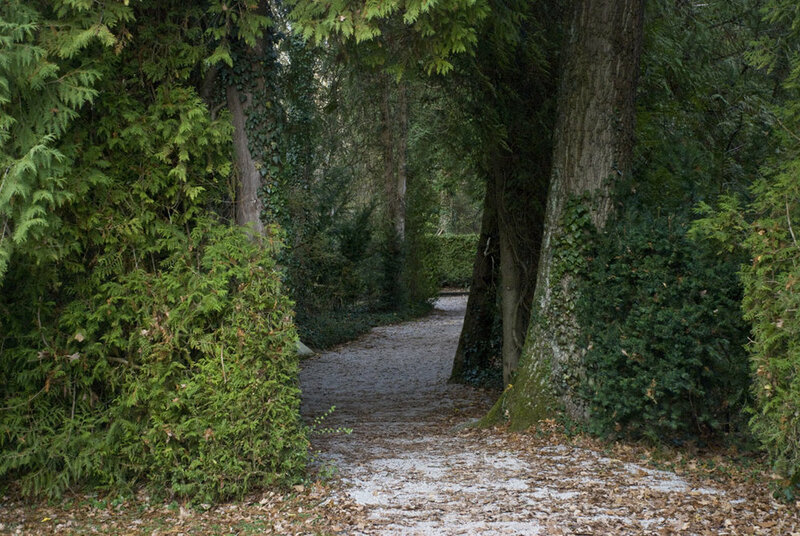 Behind the crematorium is a wooded path that leads to memorials marking the places where the ashes of thousands of victims were buried, as well an area used for execution by firing squad, which still has an indentation from the ditch they dug to drain the blood. 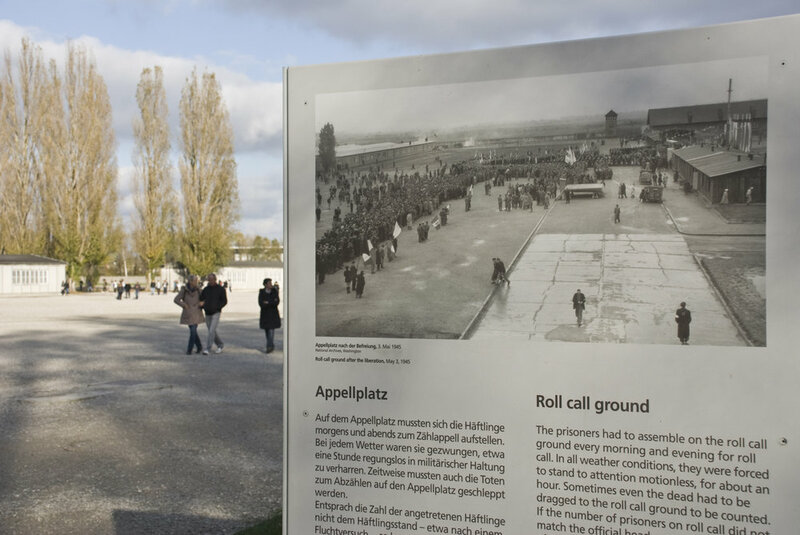 Words fail to grasp the experience of visiting Dachau. There's not much you can say other than that each and every one of us has a responsibility to honor the lives lost there and stand up to hatred and intolerance wherever it rears its head. This kind of vicious, unspeakable evil should never have occurred, and it's up to us to ensure that nothing like it happens again.